Dr. Shubhra Ghosh serves as Project Director for Global Programs in the Department of Global Academic Programs (GAP) at the University of Texas M. D. Anderson Cancer Center in Houston, TX. Dr. Ghosh joined the Global Academic Programs team in March 2009. Prior to this she obtained her medical degree from Gandhi Medical College, Bhopal, India and completed her Post-Doctoral Fellowship in Infectious Diseases in the Immunocompromised host at The UT M. D. Anderson Cancer Center. Shubhra manages and directs specific projects to identify, assess, develop and nurture collaborative research relationships between global partners of M. D. Anderson. She leads GAP’s initiative for improving cancer care in Africa and coordinates the development of educational and training exchanges with the sister institutions. Shubhra also facilitates the clinical research collaborations between MD Anderson’s sister institutions and directs the development of research plans for new extensions of MD Anderson within the US and globally. The shifting burden of cancer to the developing countries poses a new challenge to governments, policy makers, physicians and scientists as well as organizations committed to eradicating cancer from the world. But along with this global challenge there is also a unique opportunity to work together and learn from each other. Through its Global Academic Programs (GAP), MD Anderson Cancer Center builds strategic alliances with other cancer centers and organizations around the world. GAP’s network of 29 sister institutions is the largest global network of cancer centers working collaboratively on research and education aimed at lessening the world’s cancer burden. Its initiative for Africa aims to utilize the expertise of the network in partnership with organizations like the Union of International Cancer Control (UICC), Pink Ribbon Red Ribbon, National Breast Cancer Foundation and others to help sub-Saharan African nations build capacity for cancer care. 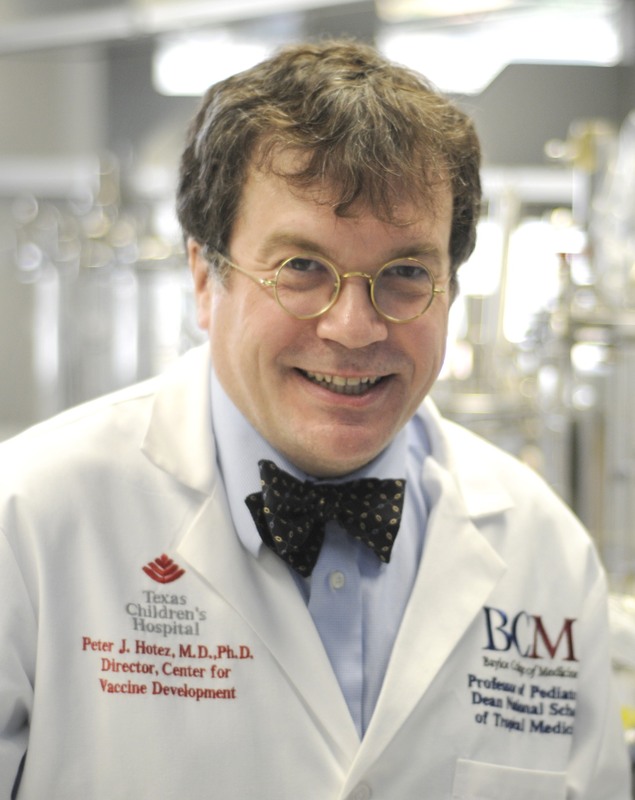 Peter J. Hotez, M.D., Ph.D., is the founding Dean of the National School of Tropical Medicine and Professor of Pediatrics and Molecular Virology & Microbiology at Baylor College of Medicine where he is also chief of a new Section of Pediatric Tropical Medicine and the Texas Children’s Hospital Endowed Chair of Tropical Pediatrics. Dr. Hotez is an internationally-recognized clinician and investigator in neglected tropical diseases and vaccine development. He leads the only product development partnership for developing new vaccines for hookworm infection, schistosomiasis, and Chagas disease, diseases affecting hundreds of millions of children and adults worldwide. The hookworm vaccine is currently in clinical trials. In 2006 at the Clinton Global Initiative he co-founded the Global Network for Neglected Tropical Diseases to provide access to essential medicines for more than 100 million people. Lael Kucera is the Program Advisor for Hygiene and Sanitation at Living Water International, Her primary responsibilities involve providing training to field staff on best practices in hygiene approaches, developing standards, and assisting regional and country offices in program design. 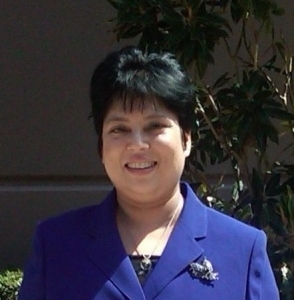 For 25 years prior to her current position, she worked as a Physician Assistant specializing in Internal Medicine, and Orthopedics. She obtained a Certificate of Public Health from University of Texas School of Public Health, and is finishing up her Masters of Public Health from the University of Florida. 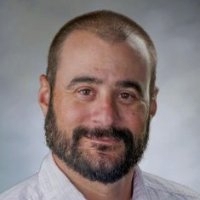 Mr. Rosenfeld is a public health professional with over 9 years of experience designing, implementing and evaluation global health and development programs, with a specific focus on community based water, sanitation and hygiene (WASH) education programs. Jason began his WASH career in Ghana as a Community Health Advisor with the US Peace Corps. After returning to the US, Jason worked with the USAID Food for Peace program before receiving a Masters in Public Health in the behavioral sciences and health education from the Rollins School of Public Health at Emory University. Mr. Rosenfeld then moved with his family to South Africa where he managed Community Health Club programs with the Africa AHEAD organization. His success in South Africa led to his appointment with the Zimbabwe AHEAD organization in Harare, Zimbabwe during the international cholera response efforts from 2009-2010. Since 2011, Mr. Rosenfeld has served as the Assistant Director for Global Health at the Center for Medical Humanities & Ethics, where he directs the global health program for the medical school, mentors MD/MPH students with an interest in community-based health education and evaluation research, and is implementing the first adaptations of the Community Health Club model in the Dominican Republic and Haiti. This presentation will discuss the dynamics of the Living Water International/University of Texas Health Science Center for Medical Humanities and Ethics artnership and the ongoing Community Health Club approach and program in Cabaret, Haiti. Alexandra (Lexi) Bambas Nolen, PhD, MPH, serves as the Director of the Center to Eliminate Health Disparities and Associate Director of the Coordinating Center for Global Health at UTMB Health in Galveston, Texas. She is also an Assistant Professor in the Departments of Family Medicine, Preventive Medicine & Community Health, and Internal Medicine, and Associate Faculty in the Institute for the Medical Humanities. Under her leadership, the Center to Eliminate Health Disparities is engaged in research, training, and community action in four program areas: Health Systems Solutions, Solutions through Social Determinants of Health, Leadership Development for Social Change in Health, and Global Health. Dr. Nolen has experience in coordination of community-based research and interventions as well as policy development on issues of health equity and public health. Her work also encompasses issues of social determinants of health and intersectoral action, health information systems, advocacy strategies for health equity, health systems development, the impact of globalization and trade on health in Africa, environmental justice, and development of training materials on health equity. Patricia Brock, MD, is Founder and Chairman Emeritus of Medical Bridges a nonprofit organization which collects and distributes medical supplies and equipment to the developing world. Dr. Brock is currently an assistant professor in the Department of Emergency Medicine at MD Anderson Cancer Center. 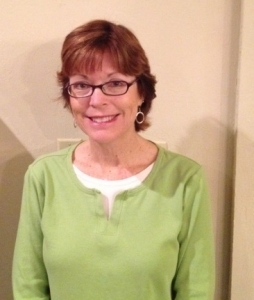 Dr. Brock graduated from The University of Louisville School Of Medicine in 1983 and began her surgical training at Parkland Hospital in Dallas at The University of Texas program and completed her residency at the UT Health Sciences Center in San Antonio. After a 10‐year career as a general surgeon and four children later, Dr. Brock turned her energies to raising her growing family. It was during this hiatus that the idea for Medical Bridges was born. Dr. Brock returned to the practice of medicine as a Clinical Instructor with Baylor College of Medicine in 2003 working in the Emergency Room at Ben Taub Hospital. She moved to MD Anderson in 2009. We will discuss unacceptable realities regarding access to care, poverty and food insecurity/obesity in Harris County and how Doctors for Change, through education and advocacy, is working to improve health care for all Houstonians. We will also discuss ways for people to get involved in our organization and make a difference locally. Dr. Thuy Phung is an Assistant Professor at Texas Children’s Hospital and Baylor College of Medicine. She received her M.Sc. degree from Oxford University, England, and MD/PhD from the University of Rochester School of Medicine. 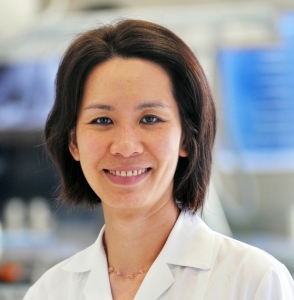 She is a practicing pathologist and directs a cancer research laboratory at Texas Children’s. Dr. Phung has a strong interest in medical work in Vietnam, where she was born and left the country as a “boat refugee.” Seeing the tremendous medical needs of children with disfiguring birthmarks in Vietnam, she was inspired to start a free clinic to help these children. She has successfully worked with a dedicated team of Vietnamese and U.S. physicians to establish the Vietnam Vascular Anomalies Center (VAC) in Ho Chi Minh City in 2009. The mission of VAC is to provide humanitarian medical care for children with disfiguring birthmarks and promote mutual collaboration between Vietnamese and U.S. physicians to improve the health of these children. Participating physicians travel to Vietnam each year to work with Vietnamese physicians in the medical and laser management of birthmarks. Dr. Phung also organizes a yearly lecture series at the University of Medicine and Pharmacy of Ho Chi Minh City to enhance the knowledge base of Vietnamese pathologists in specialized areas in pathology. Collaborative partnership is critical in building a successful global health program. The Vietnam Vascular Anomalies Center (VAC) in Ho Chi Minh City was established through close working partnerships between Vietnamese and U.S. physicians. The mission of VAC is to provide humanitarian medical care for children in Vietnam with vascular and pigmentary birthmarks, and to promote mutual collaboration between Vietnamese and U.S. physicians to improve the health of these children. This lecture will present the work of VAC physicians to achieve this mission. Dr. McCurdy is an associate professor at the University of Texas Houston Health Science Center. She has conducted Social Science Research Council/American Council of Learned Societies and National Institute of Health funded research and CDC HIV Prevention programming in Tanzania for over 25 years. During the last twelve years her work has focused on HIV prevention among heroin users in Dar es Salaam. Her other research focuses on the ethical, social, and legal implications (ELSI) of issues related to the human microbiome and the conduct of genomic and sickle cell disease research in Cameroon, Ghana, and Tanzania. Her publications are in public health, medicine, and African Studies journals and books. She is co-editor and contributor to Women and the Reconfiguration of Gender in Africa, on the board of the African Studies Association, and lead author of the Addiction article cited in the New York Times examining the now declining practice of flashblood among Tanzanian heroin injectors who shared their blood as an act of kindness to lessen their friend’s withdrawal pain. 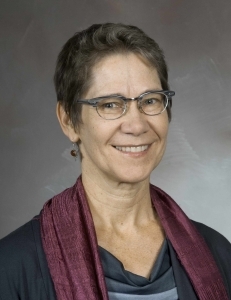 Drawing on her deep and long-term research in Tanzania over the last 25 years, Dr. McCurdy will discuss the ways she developed partnerships with hard-to-reach populations, members of civil society, and Tanzanian researchers and how together they worked to transform research to policy. In her HIV prevention work this led to harm reduction interventions that include outreach and a methadone clinic. In her new work on sickle cell disease and genomics, she is beginning work with new communities of patients, families, clinicians, and scientists to develop educational and outreach tools to address stigma, newborn screening protocols, and raise awareness in an attempt to reduce childhood mortality due to sickle cell disease in Cameroon, Ghana, and Tanzania.